Last week we reported “whispers of nervousness” among exporters, well this week they could be called “loud comments”, perhaps not “shouts” at this stage but the mood has swung over the past two selling weeks. The question is should we be concerned or is this a response/reaction to the strong prices that have been evidenced in 2017? The EMI closed down 44 cents in A$ terms at 1502¢ and also softer in US$ terms at 1151¢, down 33¢. In the West, the indicator was off slightly more with a 46¢ decline in A$. terms. – figure 1. Growers & brokers reacted by lifting the pass-in rate to 16.4%; W.A. particularly aggressive with a 25.3% rate. To keep it in perspective though, the 18 MPG in Melbourne had 17 consecutive weeks of gains beginning in January this year. The market improved by 615 cents, before the correction this week where 59 cents was wiped off in Melbourne & Fremantle and 89 cents in Sydney. Over the same period the 21 MPG lifted 140 cents before giving back 90 cents over the past 2 weeks. On a slightly different tack, the 18 – 21 MPG Basis (or 18 MPG premiums over 21 MPG) has lifted from 242 cents in January to 740 cents this week; a lift of 498 cents this year. 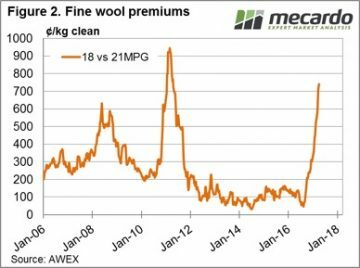 The improving fine wool basis is a clear signal that the fine wool doldrums of the past 7 – 8 years are behind us. Previously the fine wool rallies have been short & sharp, we will need to watch closely over the next 12 months to be alert to any future retracements. 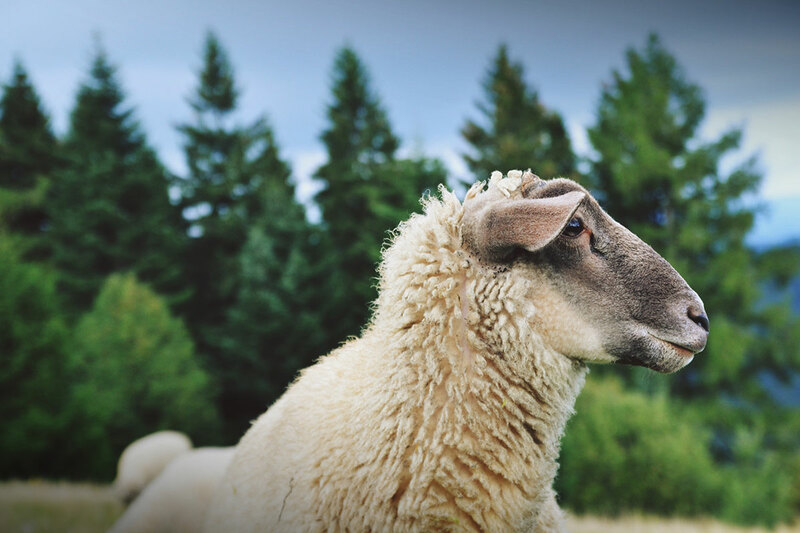 The market correction is a timely reminder that the wool market is volatile and that prices don’t always go up (or down!). 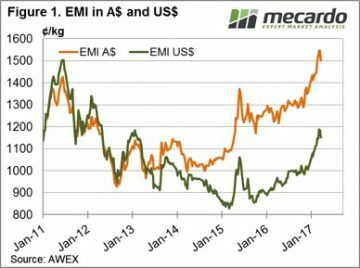 The Wool Forward market has been active, and it should be noted that forward prices are always more attractive on a rising market, compared to the same market level on the way down. We also know that it is difficult to decide to forward sell on a rising market; perhaps it will be even better next week? With the market at record levels (still!! ), it is a good time to look at the forward price relative to your expected shearing and also in relation to your financial budget. Reducing risk and locking in profit generally makes sense, but in this environment, it is even more compelling. Next week we have just over 49,000 bales listed for sale with trading schedule two days. 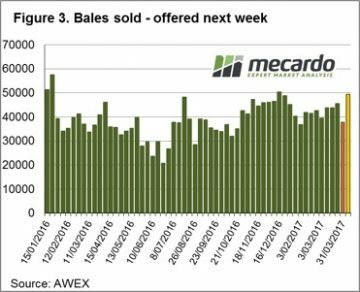 While it is expected that the full extent of this offering will not all eventuate, this year the most bales sold in a week was the first sale back after the Christmas break where 48,800 bales were cleared. Reports around the sale this week however, are that this is only a “hick-up” to the market, not a serious concern. Stocks are still reported as “very tight” along all sections of the wool pipeline. We tend to agree that the market is not under great pressure, and with growers prepared to pass-in large volumes the market should find support.